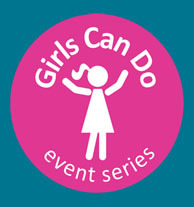 Girls Can Do – Rainier Scholars inspired at Girls Can Do! Rainier Scholars inspired at Girls Can Do! Last weekend scholars Andrea, Mimi and Nubia attended the Girls Can Do 2015 Conference featuring a diverse group of engaging and powerful women. Having meaningful experiences and gaining different perspectives through events like this provides an opportunity for RS middle schoolers to learn from others who’ve overcome obstacles and had the courage ‘to compete,’ sparking their imaginations about what they too can accomplish with vision, hard-work and determination. 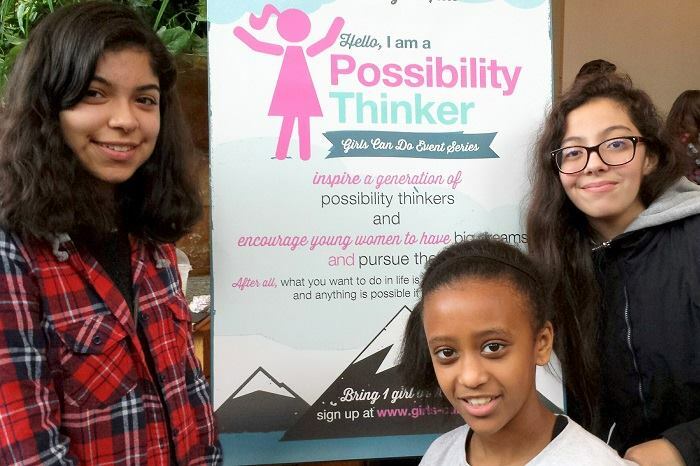 Rainier Scholars at the Seattle 2015 Girls Can Do event.